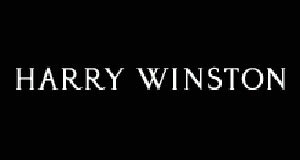 Popular watch brand Harry Winston has released a new watch - Ocean Dual Time Black. The model has a round case with a diameter of 44 mm from aluminum-zirconium. This alloy was developed by specialists of Harry Winston. It is a fairly easy, hypoallergenic and extremely resistant to corrosion. The case is covered with black DLC coating, which in turn protects against scratches. The model Ocean Dual Time Black features a black dial with second time zone indicator. The window of the local time zone is set at the 2 o’clock position and the sub-dial indicator with a second time zone at the 9 o’clock position. On the dial there are day and night indicators, which are coated with fluorescent material. A large date window is located at the 6 o’clock position. A little star - the traditional symbol of Harry Winston, is located in the center of the dial. The model comes on a black strap, which is harmoniously combined with the black case and dial. The new Ocean Dual Time Black (DLC) watch is collected on the basis of automatic movement with a frequency of 28,800 vibrations per hour and a 45-hour power reserve.